Why choose Palmetto Exterminators for Commercial Pest Control? 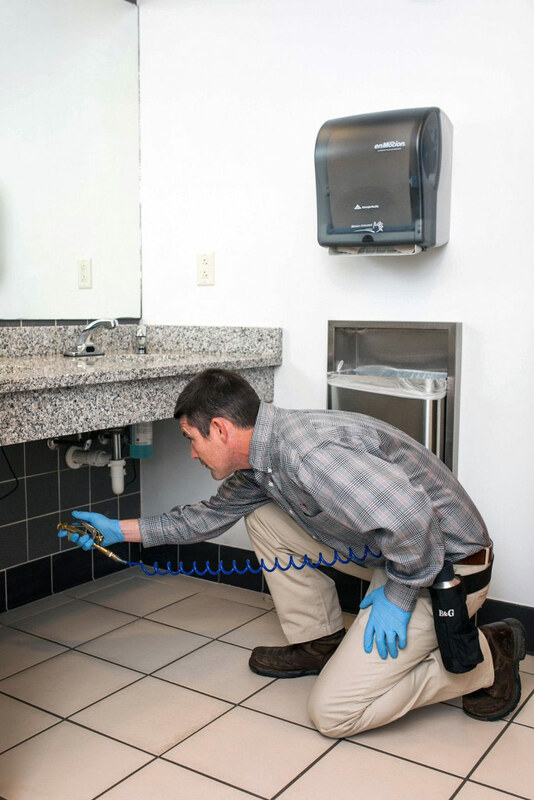 Our Commercial Pest Control means business. We service a variety of industries including Retail, Lodging and Hospitality, Restaurant Services, Property Management, Manufacturing and Warehouse, Healthcare Facilities, Government and Education, Religious Groups, Airports and Other Industries. Customer service from a dedicated pest control specialist provides a swift and discreet response when you need our help. If pests come back, so do we! We will perform a follow-up service at NO EXTRA CHARGE. Innovation is key to our service. With a Graduate Entomologist and Associate Certified Entomologist on staff, plus specially trained and experienced commercial pest control specialists, Palmetto Exterminators is constantly improving our techniques and solutions. Our Tablet Technology provides you with fast, efficient record keeping. Research and training programs ensure that your pest control specialist will have the expertise, knowledge and resources to solve your pest problem. With more than 55 years in the industry, pests have no chance. Integrated Pest Management practices ensure effective monitoring and targeted, customized solutions to protect your business or commercial property. Quality Pro Certified by the National Pest Management Association, “the mark of excellence in pest management,” Palmetto Exterminators is committed to the highest and most professional business practices in the industry which means peace of mind for you.